Running for the Modo board, again. It’s been three years since I first ran for the Board of Modo, our local car sharing co-operative. Serving on the Modo board has been an immense privilege and pleasure. It’s an amazing organization, a great board, incredible staff and an important mission. It’s what I’ll likely be speaking about at the upcoming Disruption ’17 by CU Water Cooler conference. I’m privileged to have been the board chair for the last couple of years, and hope to continue serving the members as I run for my second term as a volunteer director. If you’re a Modo member, please log in and vote, and, hey, if you’re voting, please consider voting for me. I’m William Azaroff, vice president of community investment at Vancity and current chair of Modo Co-operative’s volunteer board of directors. I’m up for re-election this year, and I hope you’ll vote for me to continue serving Modo’s membership. I’m extremely proud to be a part of the Modo board. In the three years since my election, we have successfully merged with Victoria Carshare Co-op, brought in new leadership and renewed our strategic planning process. Patrick Nangle came to Modo from Purolator Canada, where he was also CEO. He is a values-based leader whose deep knowledge of business, operations and technology will move our co-op forward in the increasingly complex and competitive world of car sharing. With Patrick on board, we have begun a new strategic planning process to map out which roads are right for us. We are at a pivotal time in car sharing. Our local co-operative has a strong brand, loyal members and solid partnerships; yet our competitors are multi-national corporations who have the deepest pockets imaginable. Disruption is everywhere. Electric vehicles have far longer ranges and more affordable price points; self-driving cars are emerging on roads; and multi-modal transportation is expanding and evolving. We need people on our board who can solidify a local co-op’s place amongst global players – people who can focus on competing against corporate giants while staying true to our core values. I would be honoured to earn your vote to continue this good work on behalf of the Modo membership. Thank you! I am so humbled and honoured to have been elected to the Board of Directors of the Modo Co-operative. It’s a great organization, and I look forward to being useful to the organization, the management and the members as we all work to develop “vibrant communities created through sustainable transportation”. I deeply appreciate all the Modo members who voted for me, as well as any of you who endorsed me, or simply expressed support. It means a lot to me! Why I want to be elected to the Modo Board. I’m running for election to the Modo Co-operative Board of Directors. If you’re a Modo member, I’d love to earn your vote online or at the AGM. If you’re not from around here, you may wonder, what’s Modo? 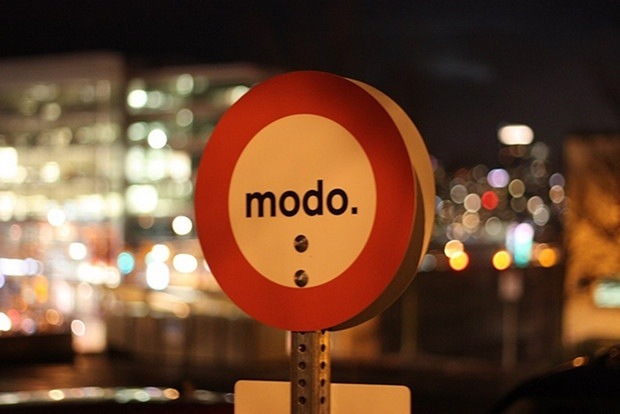 Modo is a not-for-profit carsharing co-operative incorporated in 1997 to foster carsharing and raise awareness about the benefits of sharing cars over individual ownership. 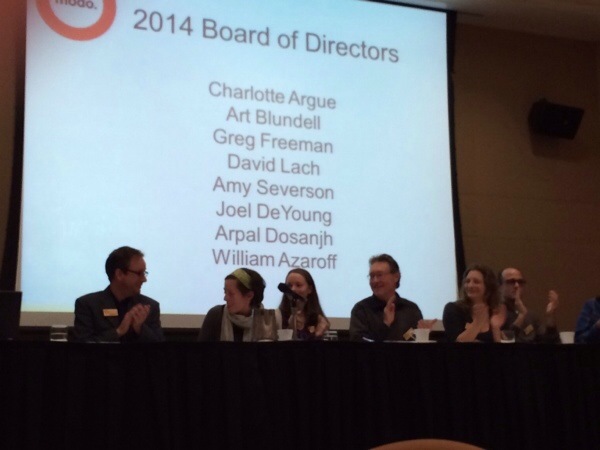 Why do I want to serve on the Board of Modo? Well, I have four main reasons, actually. Here’s my campaign video, and my reasons are spelled out below. My first reason is that I’m a co-operator at heart. I love co-ops for their democratic and community ownership model, and have belonged to many co-ops over the years. I lived in a housing co-op, where I served on the Board as Treasurer, and currently work at Vancity, a financial co-operative and one of this area’s great supporters of co-op development. In 2009, Vancity sent me to Bologna, Italy to study co-ops with a few members of our staff, our Board and our community partners in a region where co-ops flourish and prosper. I believe I can help make Modo a stronger co-op. My second reason is that I’m a digital leader. I worked as a digital strategist and producer for well over a decade, and for many years at Vancity I was the Director of Digital & Community Engagement where I oversaw online banking, our intranet, social media and other digital channels. My experience will serve me well at Modo because digital tools are crucial to members to book our cars and engage with Modo, and we support other car sharing co-ops through licensing our online booking system. This is me at the Modo party after last year’s AGM. My third reason is my strong community investment experience. As Vancity’s Director of Business & Community Development I lead a team that invests Vancity’s assets in community projects, organizations, entrepreneurs and companies that contribute to a more equitable, sustainable and vibrant place to live and work. I understand the role Modo plays in our community ecosystem, shaping the transportation and community infrastructure required for a sustainable, inclusive future. My fourth and final reason is that I’m very passionate about Modo. I strongly admire Modo’s brand focused on “disownership” – a brand that competes very effectively against larger corporate players. I am fascinated by the sharing economy, and I believe I can help Modo enable more people not to own a car of their own (or at least a second car), which is critical to reduce greenhouse gases and increase our region’s livability. I have been excited about being on the Modo Board for the past year since I attended last year’s AGM. I’d be deeply honoured to be on the Modo Board if the members choose me to represent them. If you’re a Modo member, I do hope you’ll consider voting for me online or at the AGM.